One of the top ten requests on uservoice is String Interpolation. 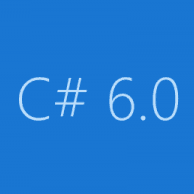 Today we are going to see how to use this feature and how it is implemented in C# 6.0. This is string interpolation in C# before 6.0. There was nothing new added in to runtime, this is just a syntaxis sugar for “old shcool” interpolation. C# compiler will convert new expression in to “old” one during compilation. As you can see in line IL_0010, there was just a String.Format call.